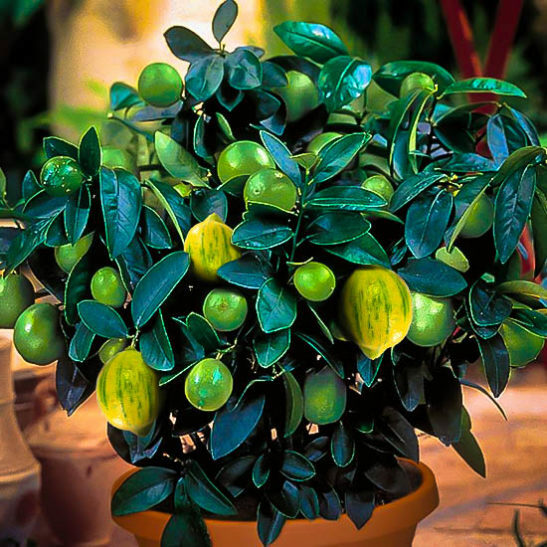 The Citrus Bush Medley tree, with a combination of Key Lime and Variegated Lemon on just one tree, is a great way to have a variety of citrus fruits available, without having to grow several trees. On a single trunk, you have a tasty and special Key Lime, perfect for making classic pies and drinks. 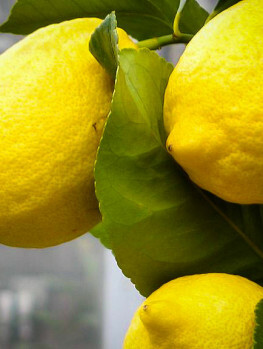 As well, you have the unique and colorful Variegated Lemon, with white-edged leaves, plus green and white striped fruits. It has pink flesh and is ideal for making your own pink lemonade. This tree is easy to grow outdoors if you live in zone 9 or warmer, and for everyone else, it grows well in a large pot. Keep the tree outdoors in full sun as much as possible, and bring it indoors to a brightly lit place once night temperatures fall to 45 degrees. Put it back outside once the night temperatures have risen above 45 degrees again in spring. 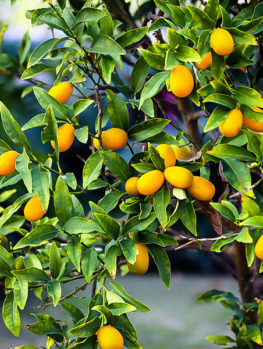 Choose a sunny location for the Citrus Medley Tree. The more sun it receives, the better it will bloom and fruit. Plant it in ordinary well-drained soil outdoors, and in regular potting soil, or citrus soil mix. Make sure you use a pot with a drainage hole and do not stand the pot in water in a saucer. Water well when the soil has begun to dry, and use a citrus fertilizer per the directions. You will soon be enjoying your very own citrus fruits, grown naturally on your own tree – there is nothing like it! 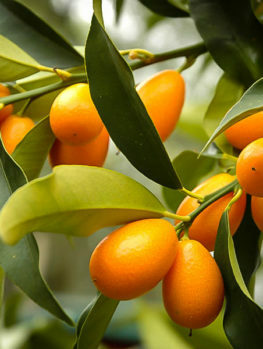 Citrus fruits are among the most useful and versatile fruit you can grow. The problem is that each plant grows to a good size, and with so many kinds of citrus to choose from, it can be really hard to make a choice if you have limited space. Now we have made that choice twice as easy by developing the Citrus Bush Medley. These are two citrus trees growing on one set of roots – one plant with two different kinds of fruit on them. Why didn’t something think of this before? 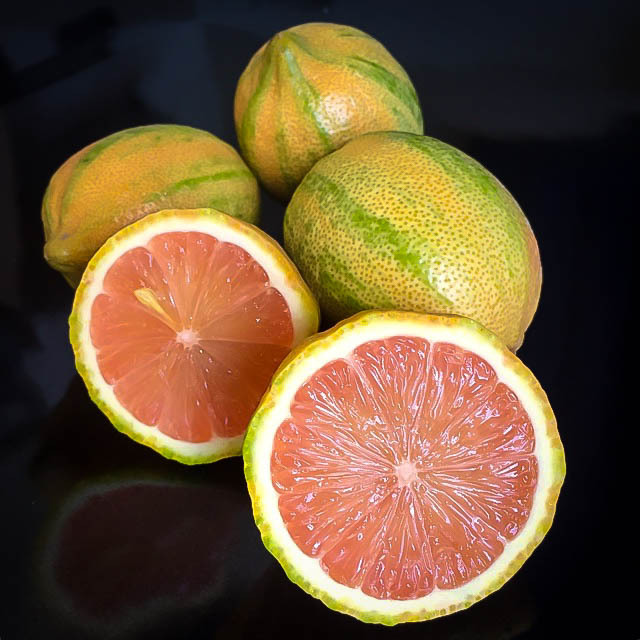 On this plant in our Medley range, you get the famous and delicious Key Lime, combined with the Variegated Lemon, noted for its wonderful pink-fleshed fruit that makes the most delicious pink lemonade. 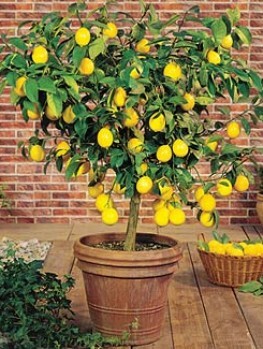 If you are looking for other choices, we also offer you a Citrus Medley plant with the classic Persian Lime combined with the famous Meyer Lemon, known for its sweeter juice, and favored by cooks for baking. These trees make a perfect pair. The Key Lime and Variegated Lemon Citrus Medley tree has the added feature of the variegated foliage of the Lemon component. It has leaves that are green, but edged in creamy white, while the fruit itself is striped in yellow and green. What a stunning combination! This tree is a real conversation piece too, and your friends and family will be amazed that it is even possible. The real quality lies in the fruits you get, so let’s start there. The Key Lime is a small, shrubby tree that has numerous stems carrying lots of fruit. The leaves are 2 – 3 inches long, glossy, rich green and like the leaves of the orange tree. The flowers are about 1 inch across, larger than many other citrus flowers. They are fragrant and have some purple shading on the back of the flower. 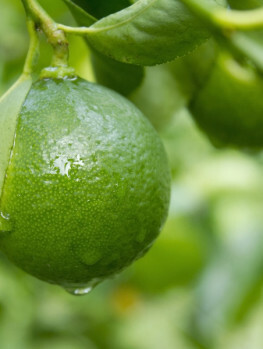 The Key Lime section of your Citrus Medley tree may flower anytime but usually it will flower between May and September. Fruits take nine months after flowering to be ready to harvest. They are ready to pick when the fruit begins to turn from deep green to a yellowish green. Left on the tree they will eventually turn completely yellow, but it is better to pick and use them when they are still green. 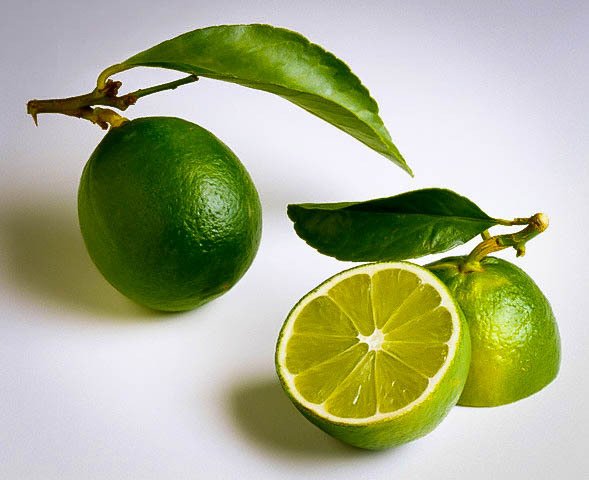 Key Limes are noted for their special flavor, and they are used in drinks, as well as in that wonderful treat – Key Lime Pie. Imagine making that from your own fruit! The Variegated Lemon has evergreen foliage edged in creamy-white, sometimes in a narrow band, and sometimes as a broader band. Throughout the year, but especially in spring and summer, your tree will have fragrant citrus blossoms that develop into the fruits. Flowers in the spring will become ripe fruit by the following winter, and later flowers will produce ripe fruit through the winter and into the next spring. You will be picking fruit while your tree is flowering, and there will hardly be a month when you do not have ripe lemons. The fruit is the same shape and size as a Eureka Lemon (which is the origin of this plant), but is striped from top to bottom in irregular bands of yellow and green. These are strongest when the fruit is developing, but even ripe fruit have some bands of variegation. When you cut the fruit, you will see the beautiful pink flesh, which of course makes pink juice too, ideal for home-made pink lemonade. Both plants are attached to the same stem, so it looks like just one tree, and that is how you should treat it. If you live in zone 9 or a warmer area, then it can be planted outdoors, but most people will want to grow it in a pot. Since these trees are naturally smaller and shrubby, they are ideal for pot culture. 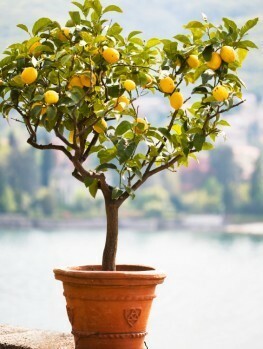 Choose a large pot with a drainage hole, and use a general outdoor potting soil, or a special citrus tree soil, which is often available at larger garden centers. Keep the tree indoors when temperatures outdoors are below 45 degrees, and keep it outdoors for the rest of the year. Choose the sunniest spots you can find, both indoors and outdoors, for the best growth. 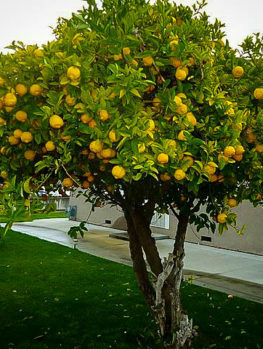 Use a citrus fertilizer regularly, and shorten any very long branches that might grow from your tree. Do not allow any branches to grow from below the point where the existing branches begin. Your tree should begin to produce fruit in just a couple of years and will go on to have bigger and bigger harvests as it matures. These Citrus Medley trees are a very special purchase, from an experienced and expert grower who specializes in quality citrus trees. Such trees are very rarely offered, and we know that our limited stock will not last long. Order now to enjoy the perfect 2-in-1 citrus tree.